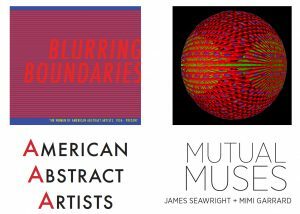 By organizing from September 15, 2018 through January 20, 2019 a show comprehensively presenting the group’s vision and achievements, the Asia Society Museum in New York is making an indispensable contribution to art history. The group’s many achievements still reverberate today. Seven decades later, the Progressives’ ideas and legacy provide a lodestar for India and a wider world beset by the politics of insularity, division and exclusion – a world in which cultural freedom is under threat. 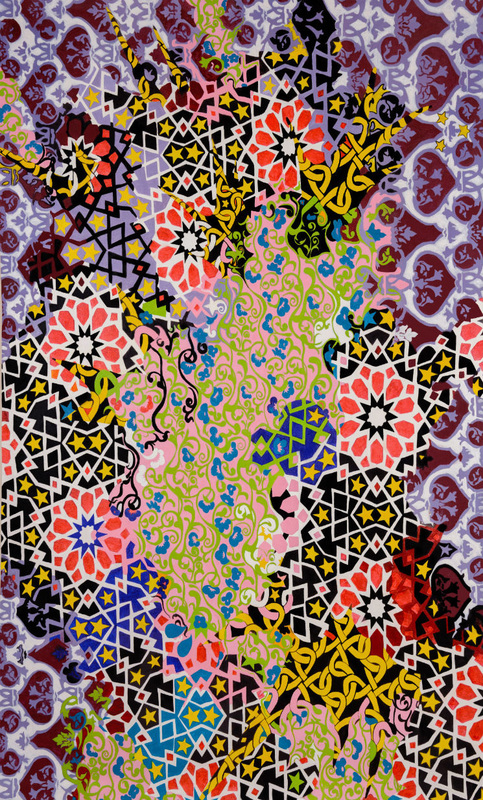 In the catalog accompanying the Asia Society show, curator Boon Hui Tan, also Museum Director and a Vice-President of the Society, complements the essay contributed by guest curator Zehra Jumabhoy by contextualizing the legacy of the Progressive Artists’ Group (PAG) within a wider Asian context. He concludes in his essay, “The battles over the art of postcolonial Asia are essentially battles over the ideological basis and values of the new nation, which are shaped by the changing structures of power over time.” In her essay’s conclusion, Jumabhoy, also Associate Lecturer at the Courtauld Institute of Art, London, calls for reclaiming the core message of hope embedded in PAG’s “progressive vision” – a message applicable, she believes, to the political landscapes of both India and the United States. In essence, the group’s vision and accomplishments, as articulated by the Asia Society show, have ramifications extending well beyond India’s political and cultural geography. Back in 2010, art historian Iftikhar Dadi saw in PAG’s artistic adventure an aspiration to go beyond the boundaries of the national to open up “the self and the nation to a wider dialogue with universalist aspirations of equality and freedom.” How right he was, the show tells us. Discussing its timeliness and importance in a recent article, writer Tausif Noor suggests that it has become vital “to re-examine the Progressives’ vision of India as a nation of commingling and complementary differences.” But, taking our cue from Dadi, we might also assert this: the same vision throws light on the sustenance of pluralist democracy and cultural diversity amidst challenges now emerging not only in India but in many regions of the world. What did the PAG artists mean by declaring themselves progressive? The deployment of the term in the context of culture had already become current in India since the 1930s with the founding of the Progressive Writers’ Association, which, as Dadi reminds us, “had rapidly emerged as a highly influential group of writers producing literature of socialist realism and critique across India in numerous languages.” Francis Newton Souza, the main driver propelling PAG’s creation, was, in his early youth, briefly a member of the Communist Party of India. Yet, within a year of PAG’s birth, in 1948, he wondered why his group still called itself progressive. “We have changed all the chauvinist and leftist fanaticism which we incorporated in our manifesto …Today we paint with absolute freedom for contents and techniques.” Over a decade later, when he was resident in London, having migrated there in 1949, Souza even said, “I don’t believe that a true artist paints for coteries or for the proletariat. 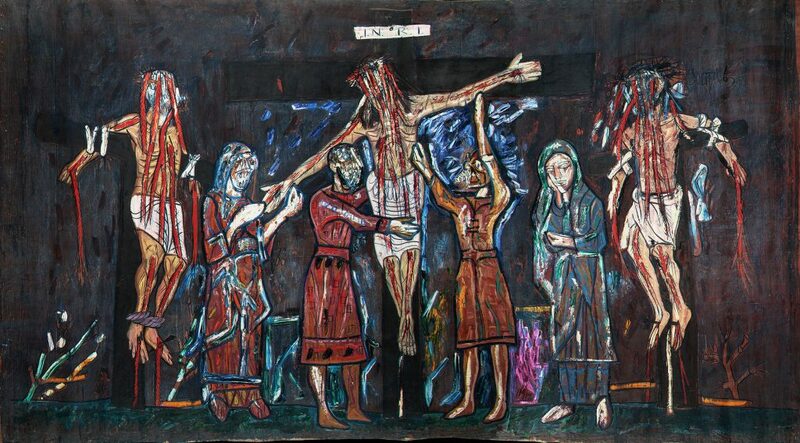 I believe with all my soul that he paints solely for himself.” In saying this, Souza spoke for himself, and PAG had in any case disbanded in 1956. The Progressives clearly followed diverse, distinctive agendas that could not be distilled into a single artistic program. Yet, all of them willy-nilly responded to their socio-political milieus even as they expressed themselves, some clearly addressing issues with social implication, and, in the process, they evolved an aesthetic that spoke to the cultural needs of their time even as their personal artistic vocabularies diverged. The Progressives succeeded in their agenda of progressing beyond the artistic paradigm set by the cultural institutions founded during the British Raj, especially the Sir J.J. School of Art, as well as the achievements of twentieth century artistic predecessors – the Bengal School and Amrita Sher-Gill most prominently – by internalizing in a transformative way the insights of Western high modernism. This assimilation, as the Asia Society show brings home to us, became a profoundly imagined Indian construction because PAG artists integrated modernist concepts, especially things pushing outwards formalist possibilities, with ideas they inherited from India’s cultural history, an ancient history spanning many millennia. Two more influences need mentioning. The Progressives borrowed ideas from India’s extremely diverse folk art and culture. What’s more, they took ideas from sister civilizations in Asia, especially the arts of China, a country with which India has interacted for at least three millennia. To the Asia Society show’s curators we owe a big debt of gratitude for an art history contribution of great significance: their spotlighting of a significant intra-Asian connection. Many factors enabled the Progressives’ achievement of a cross-cultural synthesis. This essay will address this issue in an attempt to extend the ground so well covered in the exhibition catalog. Three integrating factors are especially worth noting. Iftikhar Dadi has identified one of these by saying that formalism–that is, formalism such as that catalyzed and promoted by modernism – “is itself more amenable to Indo-Persian aesthetics than is academic realism,” the nineteenth century European realism promoted by colonial British policy. Here, Dadi was of course referencing the great tradition of Indian miniature painting that reached its apogee in the sixteenth century through an integration of two traditions that were themselves products of centuries of cultural hybridity – Persian painting, embodying an Islamic aesthetic building upon earlier traditions, and an Indian art that represented the meeting of three streams emanating from the needs of three religions: Hinduism, Buddhism, and Jainism, especially the latter two, given the strong possibility that Indian miniature painting first sprang to life in the eighth century in the eastern part of India, under the umbrella of the Pala dynasty. Emerging from this immense, ancient, swirling backdrop was a natural desire for harmony and emotional balance. Formalist aspects of modernism in art were seen to respond well to this aspiration, especially through abstraction. In thinking about this, one might recall the principle that Henri Matisse laid down when he said in his Notes of a Painter (1908) that even as color is used expressively, the content being expressed should be stable and harmonious. Discussing Matisse’s goal in a witty, wonderful book – What is Painting? 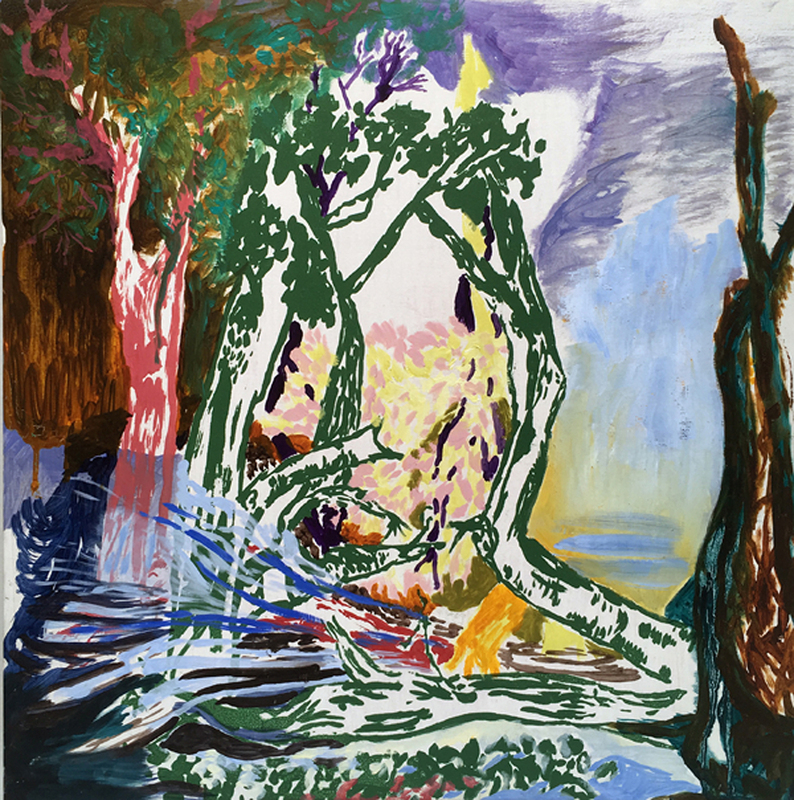 – Julian Bell suggests that Matisse’s goal, while pursuing his intuitions about color, was “to reach beyond transient emotions: to arrive at a transpersonal, by way of the personal.” Surely, similar goals animated the numinous, transcendent art of both S.H. Raza and V.S. Gaitonde. 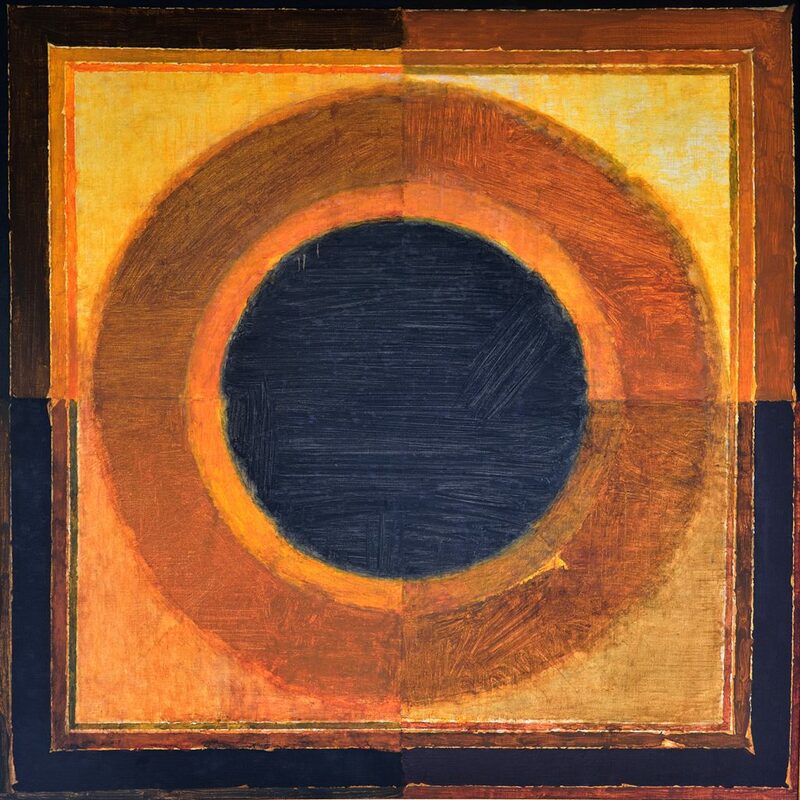 In his memoir-essay Looking Out of the Looking Glass, published in 2013 as part of a substantial book on PAG published by DAG (Delhi Art Gallery), Krishen Khanna speaks of Raza’s engagement with symbolic metaphysical forms. Of Gaitonde, he says, “His gradual exploring of a colour with all its tonalities is reminiscent of a Vilambit Khayal.” This is the slower of two main stanzas of a North Indian vocal musical form embracing cycles of improvisation that, through melody and rhythm, transport you to a world beyond words. 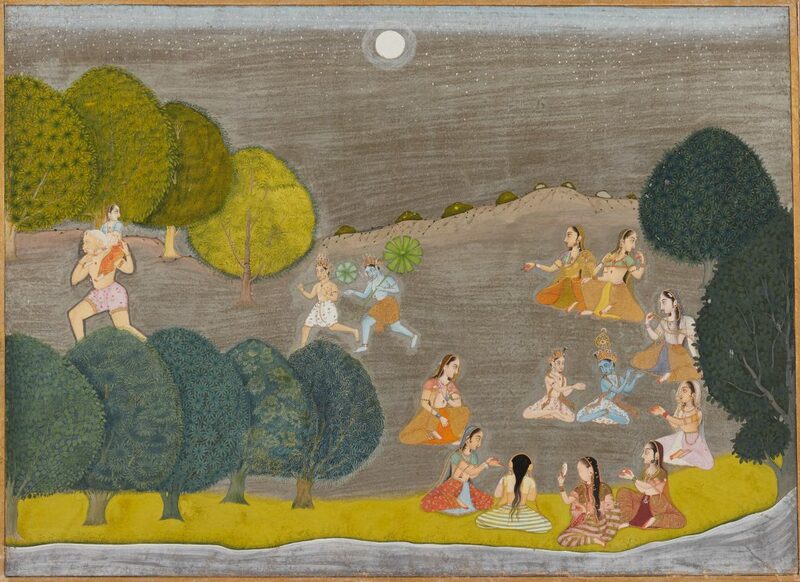 A second area of congruence arose from Indian miniatures employing color –frequently vibrant, intense stains – in both symbolic and expressive ways. 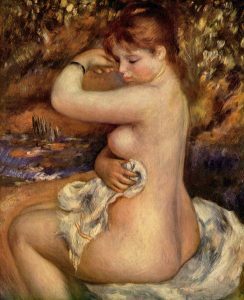 Towards the end of the nineteenth century and early in the twentieth century, the desire to allude to a world beyond the arena of the painting as well as the desire to stimulate feeling in the beholder pushed European artists to shift boundaries. Eventually they crossed the frontier into modernism, brandishing a passport called color. Think of Vincent van Gogh now, and his friend for a while Paul Gauguin, whose colorism was a big influence on Amrita Sher-Gil. 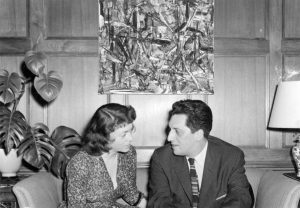 The PAG artists rejected her legacy but, in practice, succumbed to the logic that moved her artistic practice. Color’s expressiveness and its ability to create feeling played into their agenda of responding to a new nation’s concerns, which they personally felt to be their own. So, for example, M.F. Hussainii drew upon the colors and images of Basohli miniature painting (and other Indian sources) even as he borrowed ideas from Picasso and other Western artists. The third integrating factor is this: the PAG artists operated in a cultural milieu that was decisively influenced by thinkers like Rabindranath Tagore, the first non-European to win the Nobel Prize in Literature. 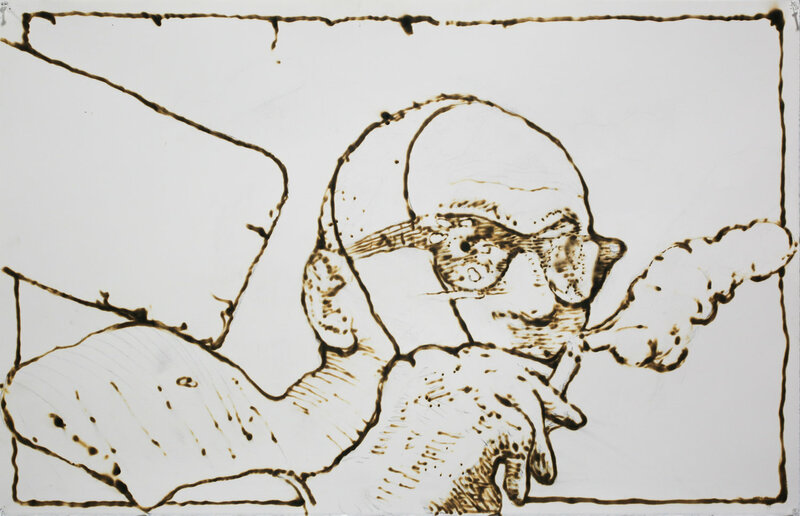 Not only a writer and educator, he emerged late in life as an innovative artist. In 1921, Tagore claimed that the ‘idea of India’ militated “against the intense consciousness of the separateness of one’s own people from others.” Discussing Tagore’s statement in The Argumentative Indian, a collection of essays on Indian history, culture and identity, economist and philosopher Amartya Sen, another Nobel laureate, suggests that it has implications within India and the arena in which India relates to the world. Sen’s suggestion is that, both internally and externally, Tagore’s claim “proposes an inclusionary form for the idea of Indian identity.” Sen admits, “It would be hard to claim that there is some exact, homogeneous concept of Indian identity that emerged during the [country’s] independence movement as a kind of national consensus.” Different leaders and thinkers, such as Mahatma Gandhi and Jawaharlal Nehru, India’s first Prime Minister, took diverse approaches on many aspects of the idea of India. But all of them shared “an inclusionary reading of Indian identity that tolerates, protects and indeed celebrates diversity within a pluralist India.” It is this inclusionary idea that brought the Progressives together, in terms of their art and the social legitimation they aspired to in different ways. And along with it, hand in hand, came their openness to a millennia-old Indian cultural syncretism that fertilized their absorption of modernist ideas. In the early twentieth century, thanks to developments in the West, a paradigm change had taken place in the world of art, and it was only appropriate that Indian artists should engage with the new paradigm. In fact, well before PAG, as art historian Partha Mitter has shown, Indian artists such as Rabindranath Tagore and Jamini Roy found in Western avant-garde thinking ammunition for their anti-colonial resistance. Mitter also reminds us that, in the nineteenth century, Western Romanticism received from Indian philosophical thought a most important infusion, and the resulting synthesis had produced many mutations all the way to the twentieth-century Existentialists as well as Henri Bergson and Wilhelm Worringer. This stream of influence and confluence affected artistic modernism, by contributing to the cultural climate that created and sustained it. It was reflected, for example, in the thinking and practices of Wassily Kandinsky and other modernists in their development of a flat, non-figurative art and their search for an alternative to materialism. Already by the eleventh century, as art historian John Guy has shown, a Pan-Indian artistic sensibility had developed in the subcontinent. This “shared style and expressive language” was dominated by two aesthetic concerns: “a striving for fidelity to nature” that was balanced by “a desire to generate powerful emotions through pictorial imagery and literary allusion.” Let me now suggest that this Indian aesthetic came into play most vividly and expressively when, in the sixteenth century, Indian art absorbed an earlier infusion of European artistic ideas via contact with the European Renaissance – a topic addressed in a most original way by art historian Kavita Singh. Painters of miniatures at the Mughal court took readily to European ideas regarding naturalism, chiaroscuro, and perspective but did not progress in linear fashion towards a full-fledged adoption of European practices. Rather Mughal painters preferred a hybrid aesthetic wherein these ideas were imaginatively combined with an art that continued to draw upon Persian conventions with regard to symbolism, allusive practices, and composition. Moreover, given the fact that most Mughal court painters were not Persian expatriates but indigenous Indian artists, it seems to me that the Pan-Indian style identified by Guy was still a living force, especially with regard to the importance of symbolic imagery and artful allusiveness. Let me now go on to suggest that this Pan-Indian style was a vigorous force even in the second half of the twentieth century. Subliminally and perhaps even overtly, it directed the hands of the PAG artists as they sought the ‘new art’ they proclaimed in 1947. It guided them as they selectively took ideas from Western modernism to create a ‘decentered’ modernism in India. It guided them as they propelled the forging of a new synthesis, which also absorbed ideas from other Asian artistic traditions. If you visited the Asia Society show and took it all in one sweep, albeit a slow one permitting deep looking, you would be struck by the salience of a few themes. To varying degrees and in different ways, the PAG artists showed that there is but a porous frontier between abstraction and figuration. Applying the previously noted syncretism of Indian culture, the Progressives created different combinations of the two styles. Think of Souza’s symbolism-laden figures embodying an intense experience of alienation and suffering – here was an artist who stretched the possibilities of painting. 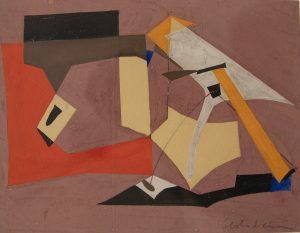 Think of Husain’s admixture of simplified, Cubism-inflected figuration with an expressiveness arising from his use of color to create feeling and to compose the picture; think too of his employing color in combination with imagery to allude to ideas emerging from Indian art and culture, including the quotidian culture of ordinary Indian people. And now think of the forms of abstraction towards which Gaitonde and Raza and S.K. 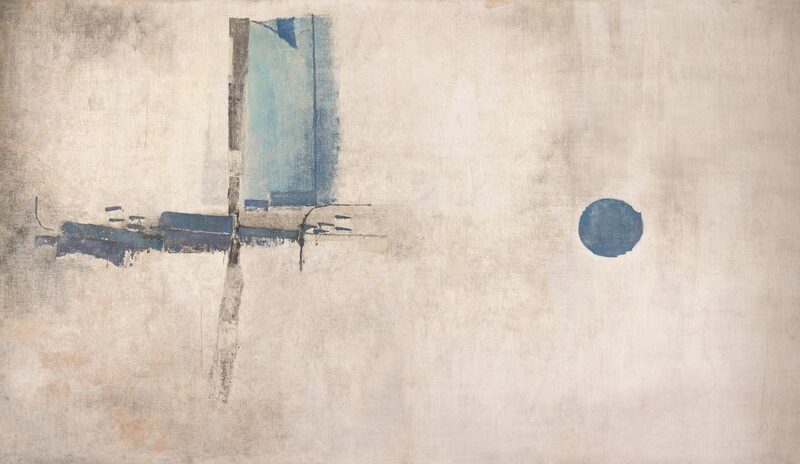 Bakre gravitated – abstract styles that were also in their own ways highly suggestive and allusive, pointing to Indian and, in Gaitonde’s case, other Asian artistic and philosophical ideas, and even transporting you beyond the picture frame. During your visit to the show, make it a point to look intently at a Rajput miniature painting from ca. 1690 titled Krishna and Balarama in Pursuit of the Demon Shankashura, which the exhibition’s curators have juxtaposed with S.H. Raza’s Bindu (ca.1980s). It’s astonishingly close to a modernist painting. 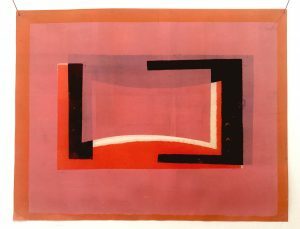 Consider its flatness, its simplification of landscape elements, its employment of color at once to stimulate delight and compose the picture, its juxtaposition of multiple narratives, its suggestiveness and symbolism – modernism is not a stone’s throw away, but it is not far down the road. Yes, Raza’s painting could be seen as a response to the aesthetic embedded in the Rajput miniature. But, applying your imagination adventurously, you could even say that the Progressives’ entire oeuvre, broadly speaking, is just such a response. All in all, a glorious creativity arose when the Pan-Indian aesthetic, incarnated in the sensibilities of the PAG artists, encountered the ideas that these artists took from Western modernism. The Progressives succeeded in creating “a new art for a newly free India” by marrying their individual imaginations to their commitment as a group to a pluralistic India, an idea completely in accord with the inclusionary syncretism they inherited as Indians. Their art solidified and enlarged a new edifice – Indian modernism. Some of them pursued career trajectories abroad, carrying forward their creative evolution through the urgency and stimulation that came from their interaction with new influences. Over time international recognition and impact followed for them and the PAG artists who stayed home. The art world has come to accept the reality that modernism had many centers. Zehra Jumabhoy rightly asks, “Is it not time to give the Progressives’ visualization of a plural India a second chance?” At a time when India is experiencing a high economic growth rate but finding challenges in making that growth inclusive and environmentally sustainable, the pluralist vision embodied in India’s constitution is not simply a desirable, aspirational idea but a critical necessity for generating the innovation and creativity at all levels without which India could not create widespread prosperity for its citizens. And those citizens now comprise a share of world population that will soon reach 18 per cent. Jumabhoy’s question has ramifications for India and the world. i We know of Bhanu Rajopadhye’s association with PAG because of some smart sleuthing by Zehra Jumabhoy. ii Worth noting is M.F. Husain: Restless Traveler, an exhibition mounted by New York City’s Aicon Gallery from October 26-December 1, 2018 partially paralleling the Asia Society show. 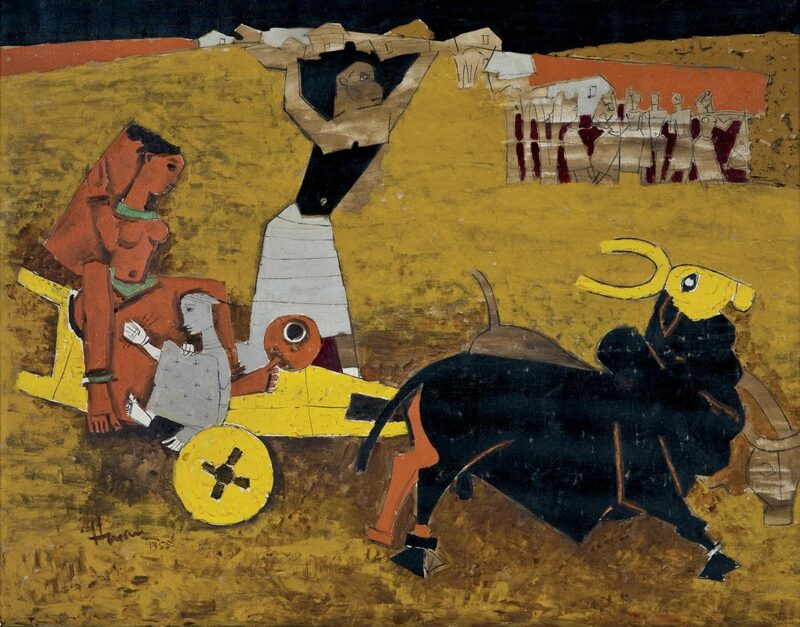 Themed around Husain’s constant travels throughout the world and the inspiration they had upon his work, the exhibition’s centerpiece is a monumental nearly sixteen feet long acrylic-on-canvas painting called “Beyond Theoria”. Photo-A-GoGo presents art that has photography as an element, whether it is predominant or used as a minor accent, to show how the creative process now parallels or responds to the ubiquitous social digital/exchange mentality. We have the MIME, Instagram, Snapchat, all the ways we express or project our ideas or self-image – so the photograph, instead of being “worth a thousand words” is now as common as a mosquito in July. However, that does not mean that art or the intention behind it or the imagery utilized is, in the end, benign. The artists in this exhibition are quite varied in style and background – they all use machines, mechanisms or minutiae that are accessible to most – and they all bring something new and fresh to the use and application of the photograph. 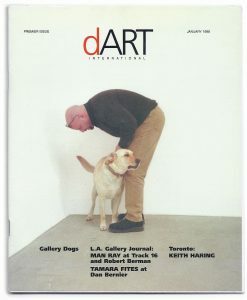 For instance, Don Doe combines portions of magazine photo-pages to distort representation and fracture meaning. It’s a cubist approach in a way, but more like Picasso’s Les Demoiselles d’Avignon (1907) than say Girl With Mandolin (1910) as there is more of an emotional and confrontational content than what one would see as being akin to analytical theory. 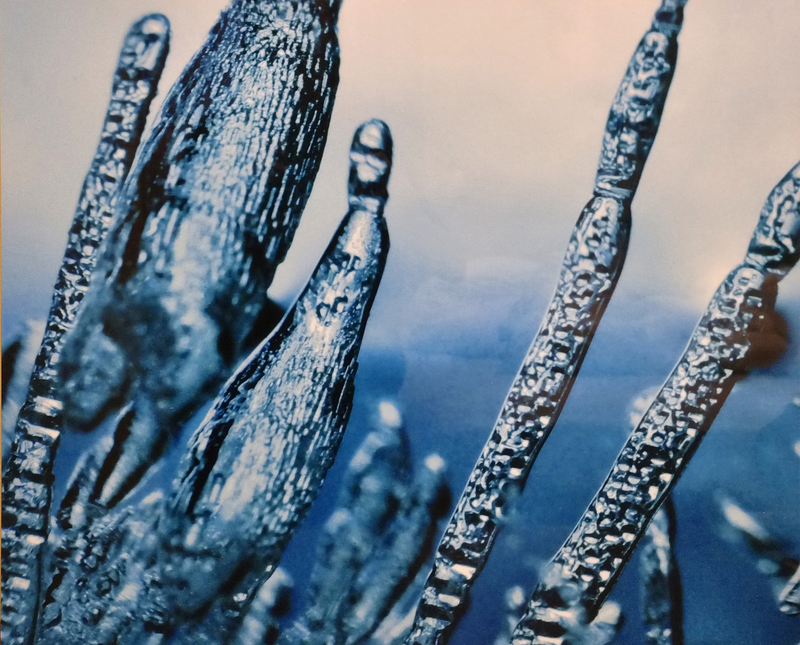 Liz Guarracino creates unexpected abstractions by photographing ice at close range. The formations Guarracino captures are similar to those taken with an electron microscope; however, here we see something familiar in a curious context-less presentation. As a result, the trapped air bubbles depicted, as they ascend and form stalagmite-like intrusions in the ice become strange, even otherworldly. 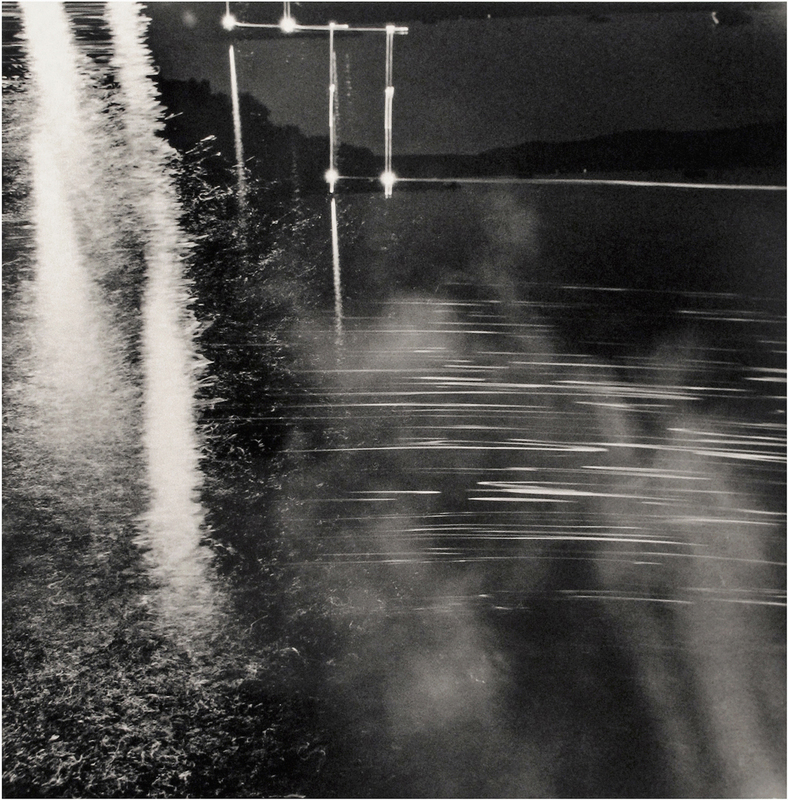 Using abrupt movements and a Polaroid camera Jan Houllevigue creates a haunting image of a cold and calculated world submerged in a thick unyielding atmosphere where feral focus and lingering light breeds unsteadiness in the viewers sense of being grounded. As a result, we get a glimpse of a parallel plane, perhaps the afterlife, where lost souls look for a new home in order to regain full consciousness in the here and now. 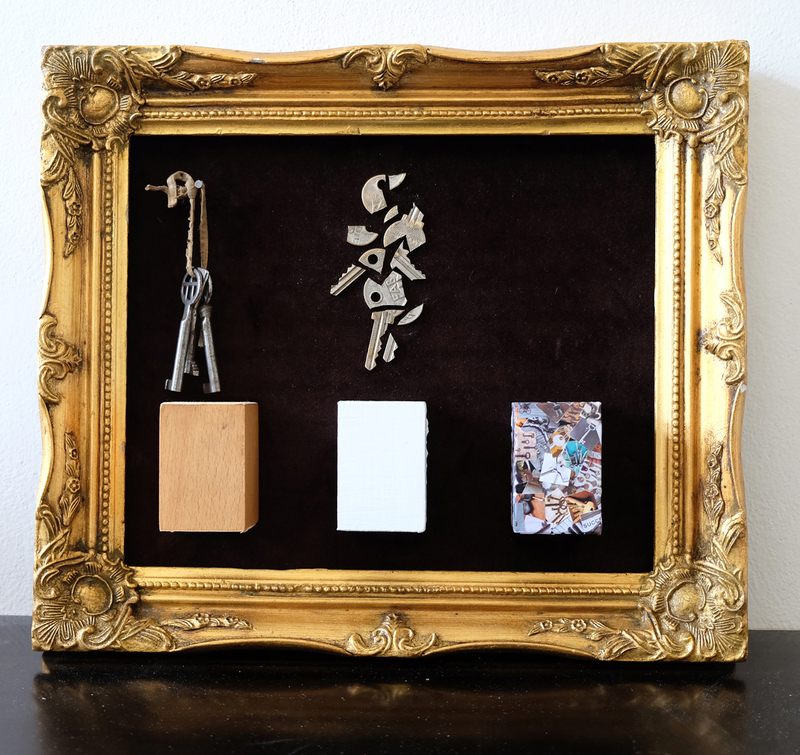 Moses Hoskins creates Books of Debris that turn art making into urban archeology. By gathering all the paper and plastic trash that carelessly never made it into our growing landfills and oceans, Hoskins turns us all into voyeurs as we flip through a series of snapshots and Polaroids mixed amongst product packaging, receipts and scented car fresheners. Janusz Kawa’s photographs can be found in a variety of places including a cover of The New York Times magazine section, as a portrait of Daniel Day-Lewis or in the depiction of the Faces of Rajastan. For this exhibition, Kawa offers one of his works from the Time and Light series where blurred movements dull and disperse the fading forms. A compression of the senses perhaps, which leaves us with a tinge of romanticism in a most mundane moment. In my new series collectively titled Cross Contamination, I begin with old LP album jackets that feature a photograph. After all or most of the original lettering is painted out I attach hand made ‘stickers’ of variously drawn sizes and styles to suggest parallels between two distinct types of popular culture. By visually upsetting the base image with the current day fad of tagging objects and signs with stickers, I am acknowledging the importance and the persistence of disruption. Creighton Michael has had a recent partial loss of his sight due to a surgical error that almost took his life. In response to his circumstance, Michael has initiated the Blindsight series utilizing a number of media and techniques including photography as he explores the space between sight and perception. As in his previous work, there are definite elements of interference only this time they are more real than ever. Claire Seidl turns the night into near non-representation as harsh hovering light overruns the composition invading the deepest darks. Here, one may be reminded of a transitional state of awareness where visual stimuli move from one episode to the next. There are also hints of geometry here, combined with a distant landscape, bringing this moment back to earth and out of the twilight zone. Jill Thayer’s two-dimensional work creates a medley of movements that begin with the photographed details of her installations. Adjustments are made in a variety of ways with digital media programs where colors are enhanced, forms are stretched and comparisons are made. Inhabited with related elements at different angles and measures, Thayer presents compositions that suggest sound, even music, as much as they do space and perspective. 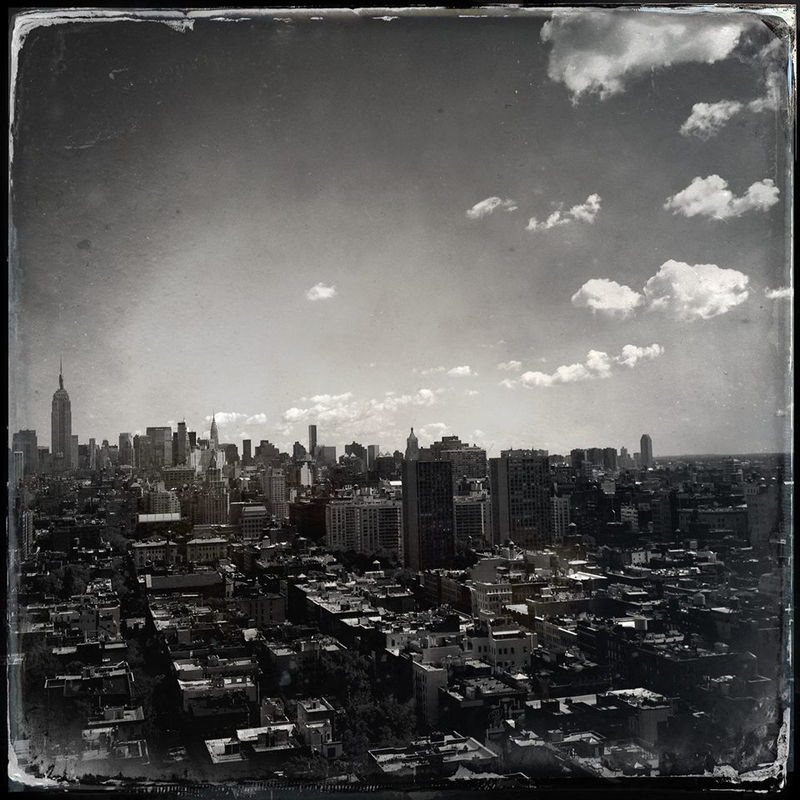 Roman Turovsky presents a visceral view of Hell’s Kitchen in New York City. To his photograph, Turovsky applies digital filters giving this print its ‘vintage’ appearance. The combination of the current day image of a part of Manhattan that has, against all odds, maintained most of its low profile and old New York feel is both disorienting and profound, while the frayed focus gives us that added feeling of vertigo. Patrick Winfield mixes several instant print pictures in a grid format in the creation of a ‘portrait’ that suggests multiple views. Not unlike the Cubist, we see many angles and the inclusion of text, however here, there is something between the excess and ritual practices. What will most intrigue the viewer is the beautifully successful arrangement of crimson reds, phthalocyanine greens and off whites in this most alluring work. Tansy Xiao gives us a sense of the theatric, as a pair of characters strut across the picture plane in Keys (2016). 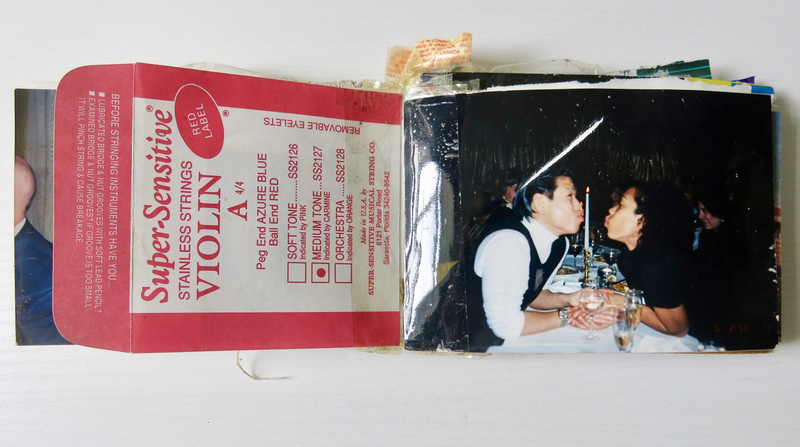 The mix of photographs at bottom right is both a minor and pivotal element, as it is comprised of a collage of images of keys garnered from the Internet. 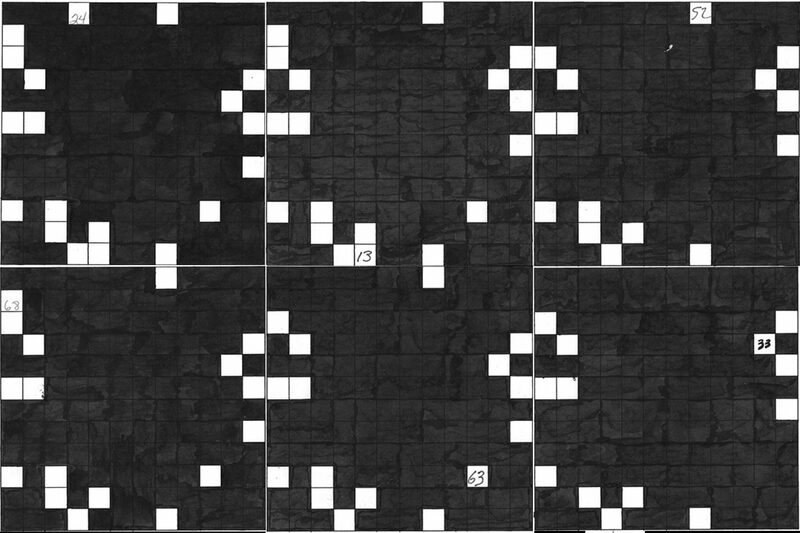 The two main figures are made of actual keys, and the absence of a third figure (there are three boxes across the lower half of the composition) raises questions about absence, memory and reality. Photo-A-GoGo opens Friday, October 19 from 6-9pm at SRO Gallery. 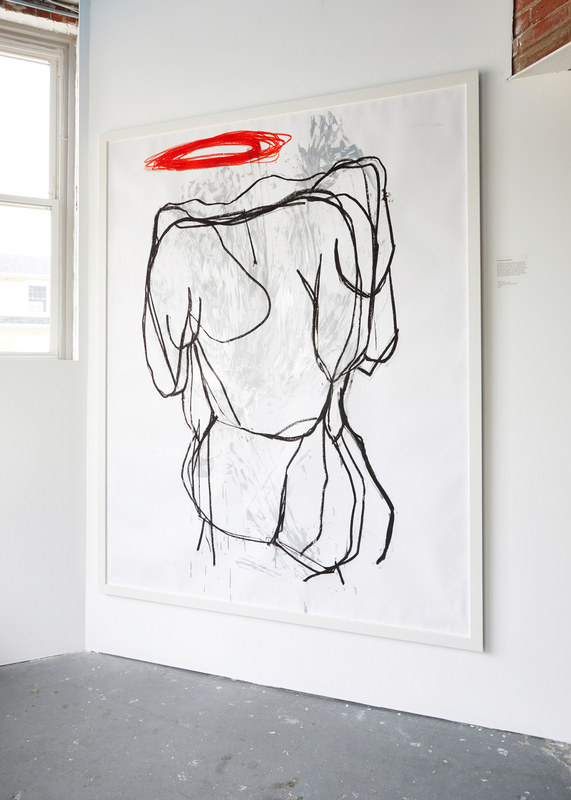 The gallery is located at 1144 Dean Street in Brooklyn, NY and runs through November 11th. It was one year ago that I first became acquainted with the work of Stephen Cook and OneWay Gallery. 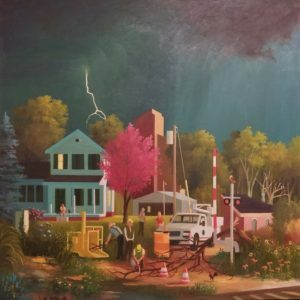 Being in Narragansett, I was not expecting to see much beyond the stereotypical sails and sunsets in any ‘art gallery’, so I was completely taken aback by Cook’s versatility and vigor as a contemporary painter. 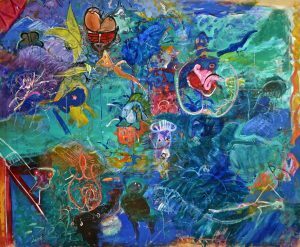 His one-person exhibition featured a number of varied principles and directions, and I instantly read his art as having been created by an energetic and reactive young mind inundated with expressions of socio-cultural information and imagery. So I began to take notes for a review seeing that moment as a great opportunity to get to know the artist and his work. After the review was published in The Huffington Post, I took a close look at the gallery’s roster of artists and found a contemporary culture that was pertinent and energizing to me in these crazy times. Also at that time, I was beginning to work on a series of curated shows that focus on the powerful presence of line in contemporary art. Line has defined many an art movement: Automatism in Surrealism and Abstract Expressionism; the planes and passages in Fauvism; and what would Picasso’s Guernica (1937) be without the texture and enhanced dynamics that his lines created? In a few brief emails I proposed my exhibition idea to Cook, incorporating a few of his artists with artists I was considering for the second installment of the exhibition and we quickly found common ground. The series of exhibitions are collectively titled Where to Draw the Line, with the first opening last March at the Walter Wickiser Gallery in New York City. For this second iteration of Where to Draw the Line at OneWay Gallery I have selected the art of thirteen artists beginning with the work of Stephen Cook. 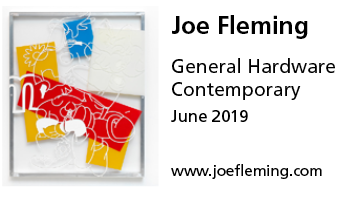 For this exhibition, my focus was on his mixed media paintings that had the greatest emphasis on line to either suggest form, or in certain instances move the viewer’s eye slowly and deliberately through the picture plane, thus adding the element of time. Another artist in the exhibition is Rebecca Mason Adams. She utilizes a black and white palette to present her near photographic paintings of what looks to be unsuspecting subjects. While capturing those quiet moments of sleep or daydreaming, Adams uses line as a bold pattern adding a graphic element to punctuate the immediacy of the moment. 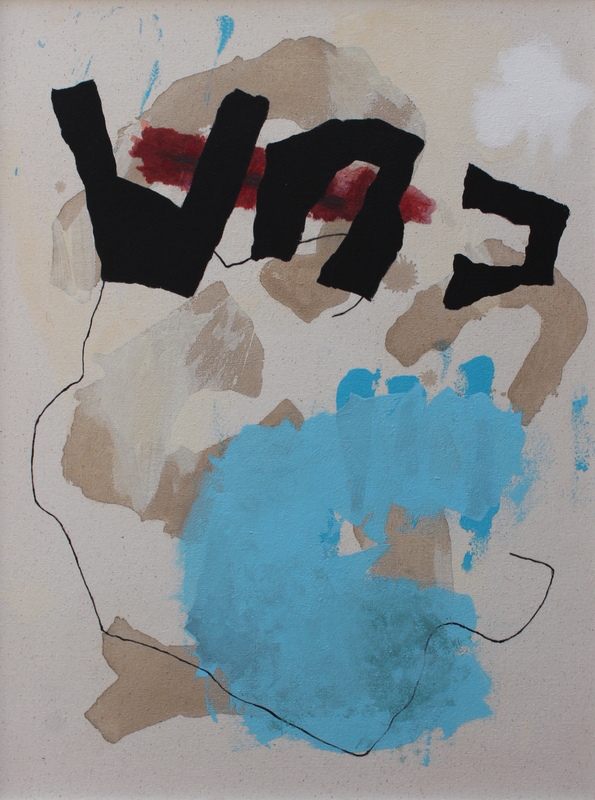 Don Doe offers two works on paper that are heavy with gestural line projecting a very surreal brand of Cubism. By employing obvious references to the painter’s physical process with somewhat kitschy symbolism, Doe shows us the lone creator in the confines of the studio that can corral the body but not the mind. Similarly, Cecilia Whittaker-Doe breaks down landscape painting with a sort of Cubist approach, only here we see more sweeping changes in the emotional or spiritual content. 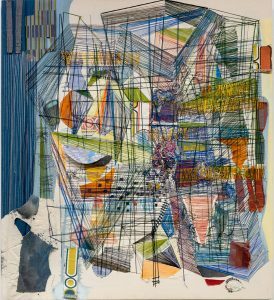 Whittaker-Doe also is sending us a message about the fragility of the landscape, the history of the changes and the power of that perception with her distinctive use of line. S. W. Dinge uses line to punctuate any given composition. In so doing, his work speaks to us directly and intensely as it projects its terms and conditions. This personification by way of language gives his work its distinctive quality of animation and movement while the buoyancy of the forms is the first thing that attracts us. Grant Hargates compositions are filled with line. They form shapes, create patterns and define intimate settings with a boldness and honesty that is universally cross-cultural in its references. In a way, his symbolic gestures vacillate between a complex codex and rapid representation giving his work its timeless immediacy. Tom Huck’s raucous representations are reminiscent of the early days of underground comics like ZAP. As he inks in line with great skill and boldness, Huck brings us to the persistent underbelly of human nature and frailty where the rougher side of reality wreaks with loose libidos and relentless ruination. Sarah Jacobs creates art that celebrates the cultural spectrum that covers our planet. Despite trends toward homogenization, gentrification and modernization we can still revel in the fact that we have a wealth of history and heritages that can both blend and contrast as seen in the lines and layers of Jacob’s art. Don Keene’s paintings are bold Expressionistic renditions of a ‘Red Light’ district that lurks in the subconscious. Evading time, place and definition, these vignettes represent a freedom of will from judgment while the colors and lines that portray unabashed passions saturate the composition with frenzied force. In my work I use line by way of one-of-a-kind- stickers to represent ubiquitous trends in popular culture. 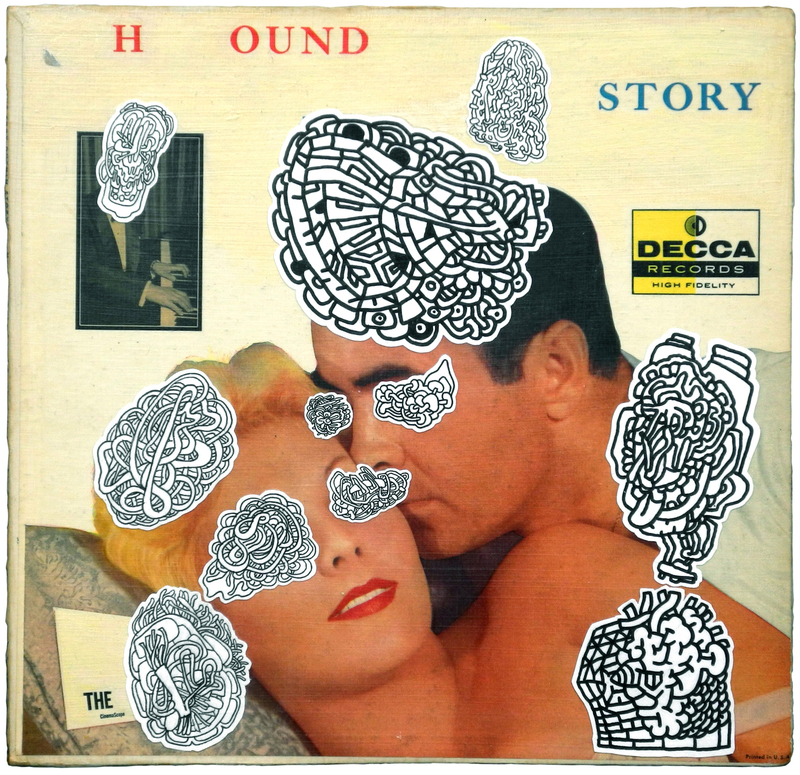 Each of the stickers are done as automatically as possibly, while their inevitable placement on a subtly over painted vintage album jacket or freshly constructed sculpture is meant to be a sort of crossover contamination. 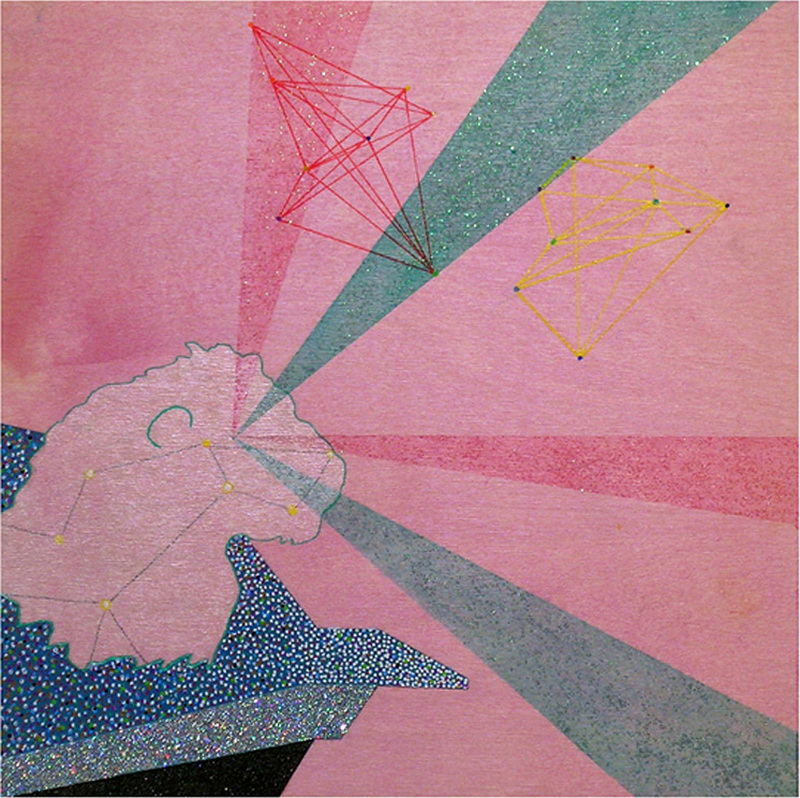 T. Michael Martin incorporates line in his multi-media compositions in various ways. They might create recognizable shapes, define boundaries or edges or create texture and movement depending on their placement, position or prominence. His work has references to astrology, mathematics, physics and even transcendence bringing a certain level of otherworldliness to the fore. Creighton Michael takes line to a far more physical level in the third dimension, literally making the line sculptural. Michael is able to expand the language of line in space where shadows create form and volume. As a result, we see line as subject: distinct, dimensional and dynamic. Michael Zansky literally burns his lines directly into paper with a propane torch. Using ancient history and cultures as his guide, Zansky brings forth commonalities that will both enlighten and alarm, while his narrative combinations create mystery, mayhem and an all out assault on the senses and sensibilities of the viewer’s mind and memory. The Where to Draw the Line exhibition that runs through October 14th at OneWay Gallery will hold an artist reception on Friday, September 14th from 5-8pm. 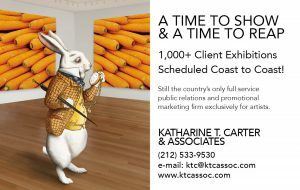 The gallery is located at 140 Boon Street, Narragansett, RI.